New York (AP) — Hugh Jackman is set to launch a pop star-like tour next year, but he’s done his research: He’s been to a Beyonce concert. A Justin Timberlake concert. And a Michael Jackson concert. The regular concert attendee is hoping to make some strong connections with fans when he launches his first world tour — dubbed “The Man. The Music. The Show.”— next year. Accompanied by a live orchestra, he will perform songs from “The Greatest Showman,” ‘’Les Miserables” and Broadway musicals, among other selections. “The Greatest Showman” has come a long way: Jackman remembers how the movie only earned US$8.6 million in its first week around the time the soundtrack debuted at No. 71 on the Billboard charts. The North American leg begins June 18 in Houston and tickets went on sale this month. 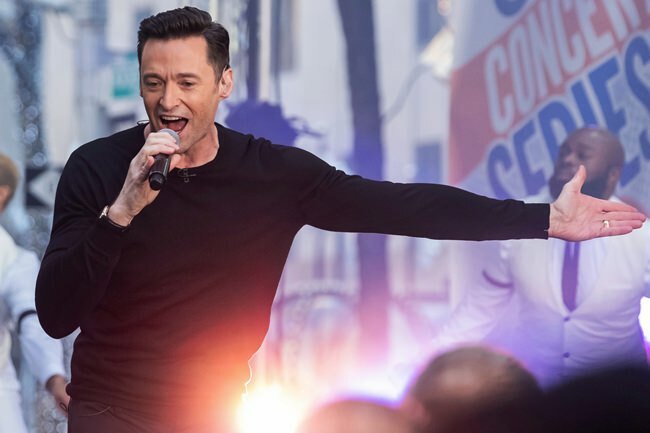 Jackman hopes to also perform original music on the tour, and he recalls working on an album when he was signed to a record label over a decade ago when he starred in Broadway’s “The Boy from Oz,” for which he won a Tony in 2004.